The Antwerp- and Bangkok-based jewellery designer flew into Hong Kong to meet with VIPs and media. 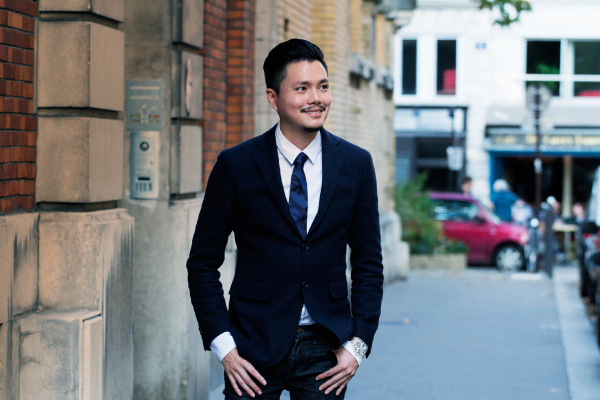 Thongprasert graduated from the Royal Academy of Antwerp and launched his eponymous jewellery label in 2009. Since then, he’s been garnering a strong following amongst fashion forward girls, from rapper Nicki Minaj to social media style maven Natasha Goldenberg. The colourful, fun yet complex designs tap into distinctly different styles. 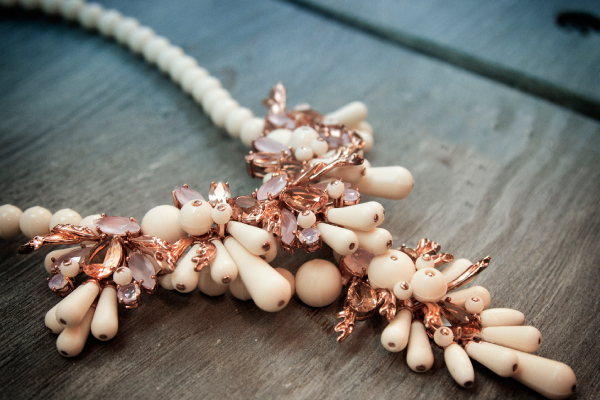 “My designs are based on classical jewellery, but through changing the materials and techniques, I twist the general perception of jewellery. My creations are unique, fun and easy for my customers to connect with,” Thongprasert said. The autumn winter 2015 collection took 1950s costume jewellery to a new 2015 level. 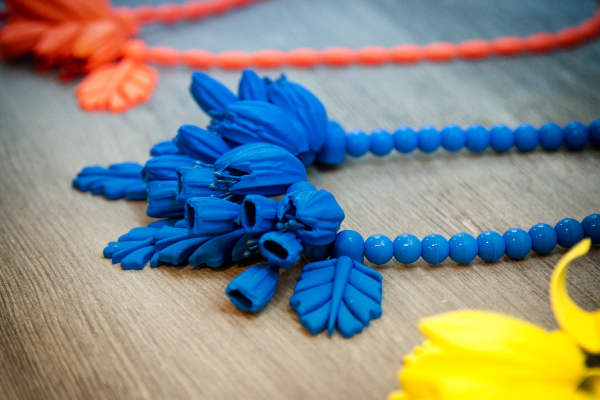 Classic chandelier-esque necklaces are re-interpreted into vibrant silicone versions. The seemingly tongue-in-cheek design is more complex than one would think. 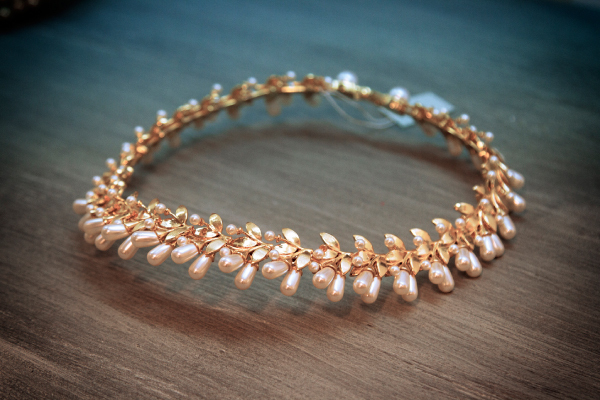 Another highlight from the collection is a gold-plated brass and beaded collier. 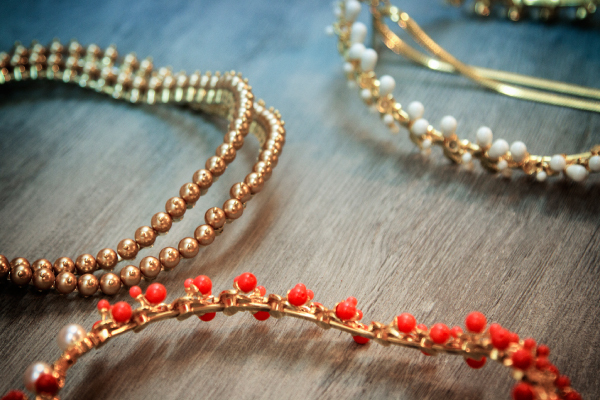 Thongprasert bent and tempered the hard metal by hand very carefully to create a sculpture-like neckpiece. Instead of laying flat on one’s skin, it seems to float elegantly around the collar of the wearer. It is the subtle magic behind the beautiful design that really sets Thongprasert's work apart.